A tropical villa near Rawai beach, Phuket, Villa Adonara provides its guests with a chance to live in the lap of luxury while enjoying their resplendent, natural surroundings. The villa features a gorgeous, 10-metre swimming pool bordered by a wooden pool deck and lush foliage. 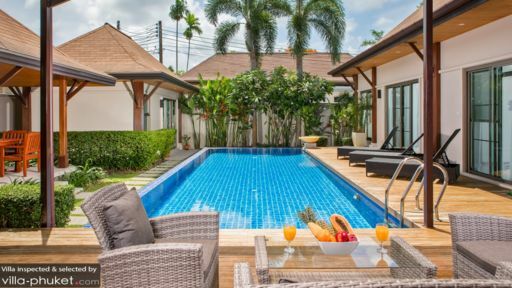 The perfect place to relax with your group, the villa is close to popular beachside eateries, cafés and clubs on Nai Harn beach, Laem Ka beach and Rawai beach. Indulge in an at-home spa or relish delicious Thai food in a nearby restaurant for a complete experience. There are three bedrooms at Villa Adonara that are located off the swimming pool with sliding glass doors that reveal the pool and its inviting water. While the master bedroom has been furnished with a four-poster king-sized bed, the remaining bedrooms feature simple, king beds for sound sleep. You can either enjoy the fresh, tropical breeze or allow the air-conditioning to do its job by keeping the spaces cool. The bedrooms are furnished with antique cabinets, dressers that may also function as studies and comfortable sitting for cosy reading corner. There are Adjoined to the bedrooms are the three ensuite bathrooms of which the master bath comes with a tranquil bathtub overlooking the pool area and the other bathrooms have walk-in showers. Nestled under the clear, blue skies is the 10-metre swimming pool at Villa Adonara with its electric blue water and mosaic-tiled floor. Flanking the swimming pool is its timber pool deck housing rattan sunbeds for relaxation, afternoon naps and plenty of poolside cocktails. With abundant natural flora bordering the swimming pool, guests are invited to rest amidst refreshing surroundings. 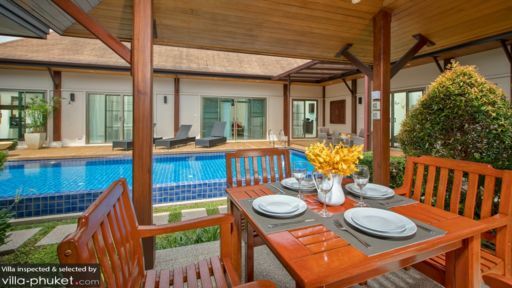 There is a poolside sala housing an alfresco dining area making this an ideal spot for a hearty breakfast. You even have a lounge outdoors for endless chats with friends and family after the sun sets. Villa Adonara has been designed after authentic tropical style with high-vaulted ceilings, glass partitions and sun shades to allow maximum ventilation and cover from the tropical sun while indoors. The main living area is enclosed behind these same glass doors and sheer, white drapes for a cooling and comfortable ambiance. The room is furnished with plush couches and fitted with a flat-screen TV, air-conditioning and false ceiling lighting. The whitewashed interiors also work well with the tropical atmosphere. An antique console table stands in the centre with intriguing artefacts. The dining area indoors is great for your lunches if you’re staying indoors so you can beat the heat and eat amidst peaceful hum of the air-conditioner. Lastly, you have to yourself the fully-equipped kitchen that comes installed with modern fittings like an oven, microwave, refrigerator and others. The breakfast bar is where you can enjoy quick bites and drinks. Packed with amenities, Villa Adonara makes sure that guests have everything they need at all times. They are dedicated to keep the villa clean and well-maintained by offering services such as housekeeping, pool maintenance and even security so you can rest easy. Many services are available at an additional cost based on your requirement these may be babysitters, private chef and transportation to name a few. Villa Adonara is found on Rawai beach that is known for its beachside cafes and bars as well beautiful panoramas. 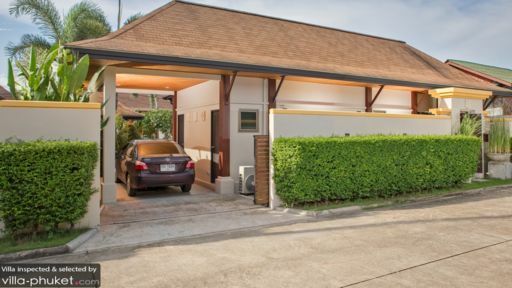 Other places of interest around the villa include the laid-back Nai Harn beach great for sunbathing or Laem Ka beach which is more suitable for those who wish to enjoy a cooling dip in the ocean. Some cafes to explore include Atsumi Raw Café and The Book Café. A restaurant that offers amazing sea views is Salaloy Seafood.